FO-MAC has gained the reputation of being a high quality, close tolerance, yet flexible molder. 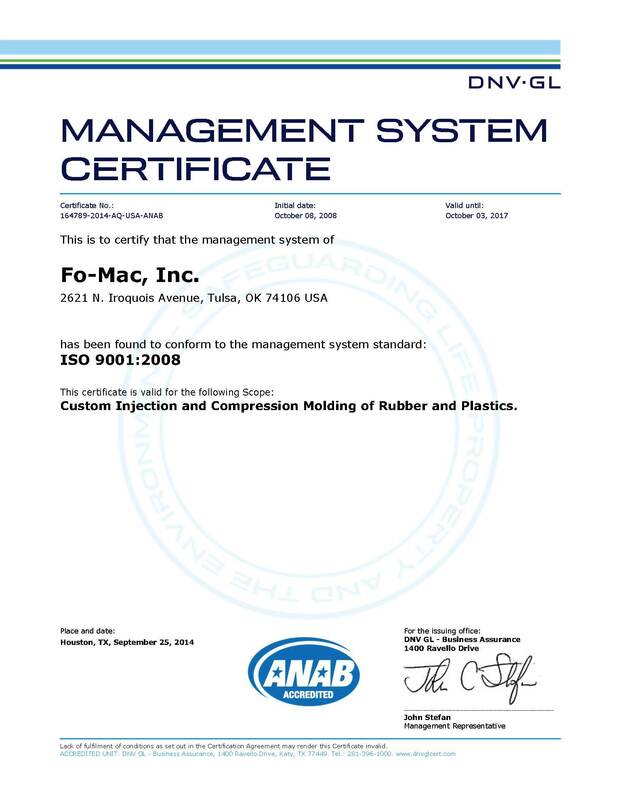 In October 2008, FO-MAC became certified to both ISO 9000 /2008 and EN/JISQ/AS9100:2004 management system standards, further demonstrating our commitment to being a WORLD CLASS leader in the industries we serve. With 150,000 sq. ft. and a staff of experienced employees we will be able us to meet the requirements of our customers in the 21st century.